Sängerei is a privileged cadaster parcel in Hofberg, and this is one of the great Mosels of 2014; it's the first appearance of botrytis but agreeably; actually a rapturous aroma of moonglow pear and guava; if the '12 was stately and sublime, this is almost viciously energetic and brashly concentrated and spicy; it doesn't neglect a single cell on your palate, and finishes with a tarragon sting and a swirling dust of slate. Due to his estate's tiny size, it is virtually impossible to farm organically, though Andreas farms as close to nature as possible. 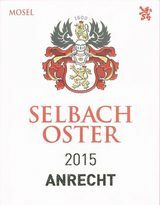 Located in a very warm vineyard in the Dhroner Hofberg and from 60-year-old vines, the 2014 in der Sängerei is a medium dry Riesling fermented and aged in traditional fuders. 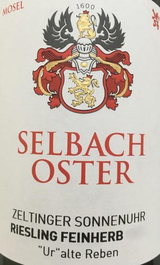 Intensely yellow in color and with fine, fully ripe and concentrated Riesling flavors on the nose, this is a rich and piquant, discreetly sweet and salty Riesling of great purity and elegance. 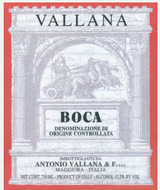 This is a noble food wine with a nice and juicy but precise fruit, and a very long and aromatic finish. This wine was picked with a certain proportion of perfectly selected botrytis. Great and perfect with food. Only 10.5% alcohol plus 25 grams of residual sugar.